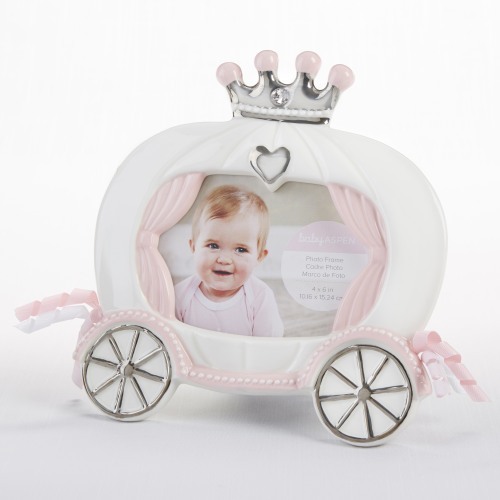 Show off your little princesses most precious memories with this ceramic carriage frame. This practical gift holds a 4" x 6" photo in the center of the white princess carriage and is topped with silver crown with pink foil details. Perfect as a decorative piece for a nursery.